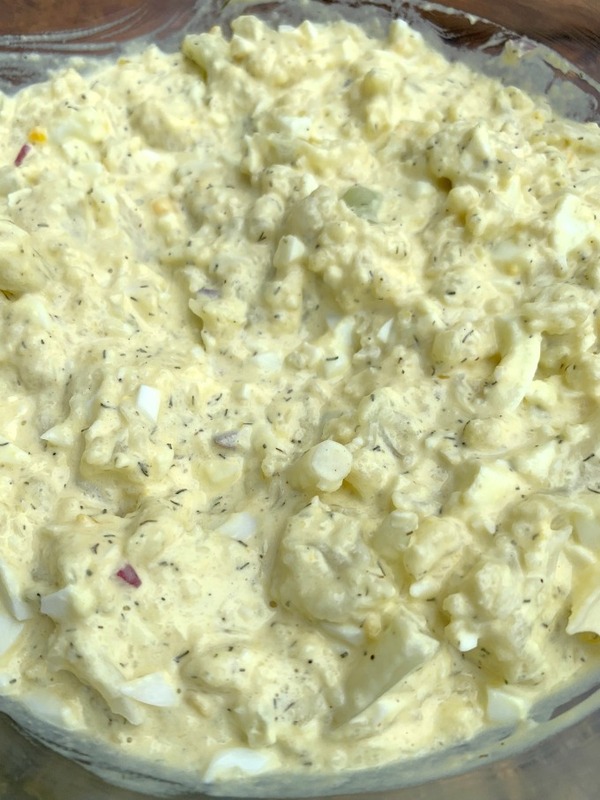 Easy, Cauliflower Potato Salad (Keto, Low-Carb, Paleo) is the best quick and easy recipe to pair with your summer salads and other BBQ cookout side dishes. 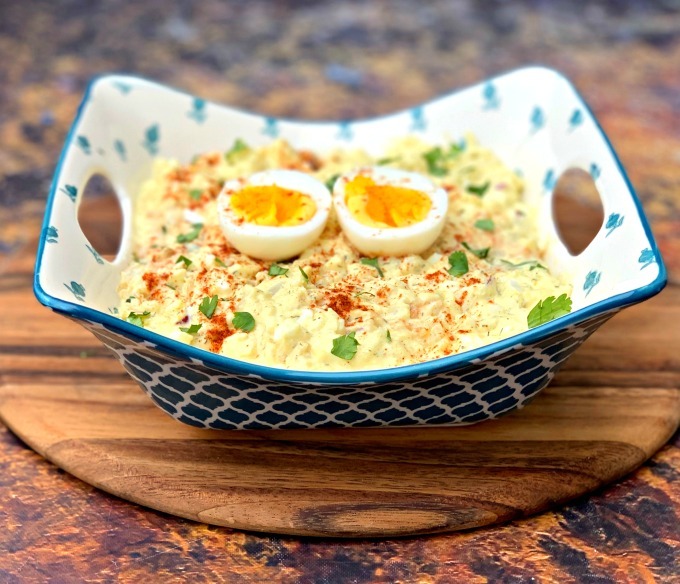 This creamy mock, faux potato salad is best served chilled or cold. Potatoes are substituted for cauliflower due to their amazing texture. 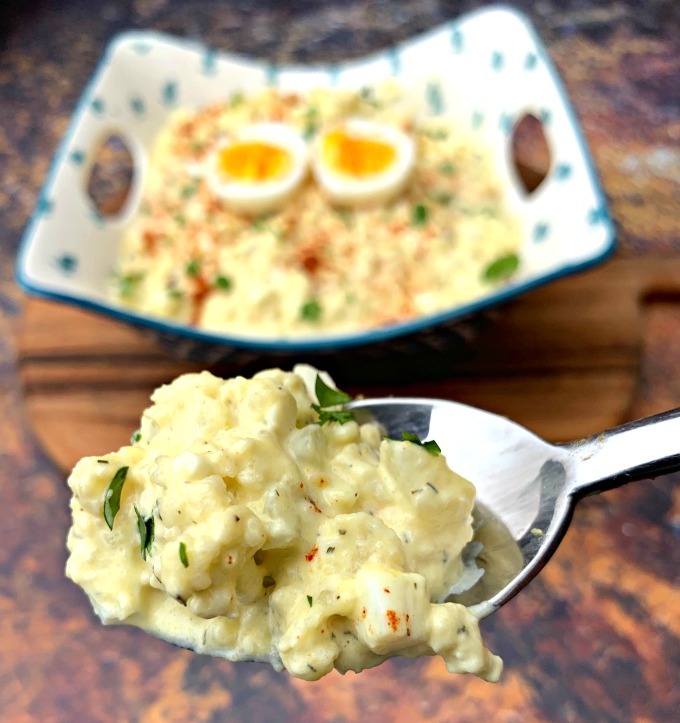 Who says you can’t enjoy potato salad on keto?! When I attend a summer BBQ cookout, I always expect potato salad to be on the menu. It’s the perfect compliment to a plate of marinated meat. I grew up eating a traditional, southern-style potato salad. 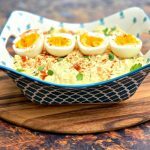 You can find my Instant Pot Potato Salad recipe here. I have adapted that version by substituting the potatoes for cauliflower. I also substituted the pickle relish (it is loaded with sugar and carbs) for dried dill weed and pickle juice. Most pickles are very keto-friendly and make great snacks! 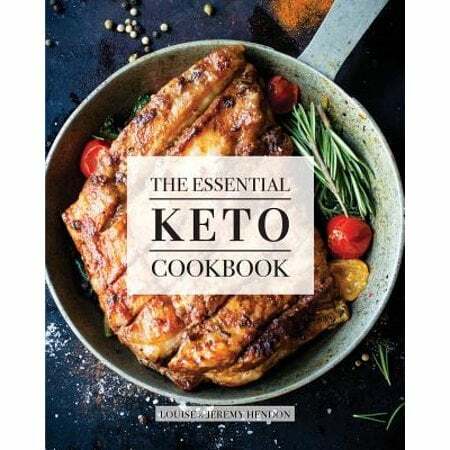 Is Potato Salad Keto Friendly? Traditional potato salad is not keto. The main ingredient is what prevents it from being a low carb dish, the potatoes. Potatoes are loaded with carbs. See more detail below. Boil chopped cauliflower on the stove to soften. Drain the cauliflower and place in a large bowl. 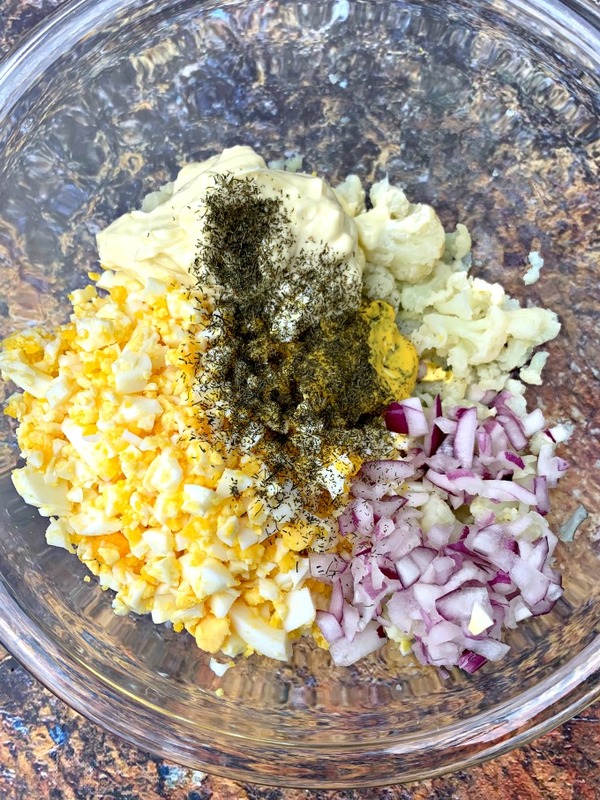 Add mayo, pickle juice, dill weed, mustard, chopped boiled eggs, and salt and pepper. Stir. I use my Instant Pot to boil the eggs in minutes. It makes them easy to peel. You can check out How to Boil Eggs Using the Instant Pot here. One cup of cauliflower has 2 net carbs. It’s loaded with fiber and is great for a keto lifestyle. 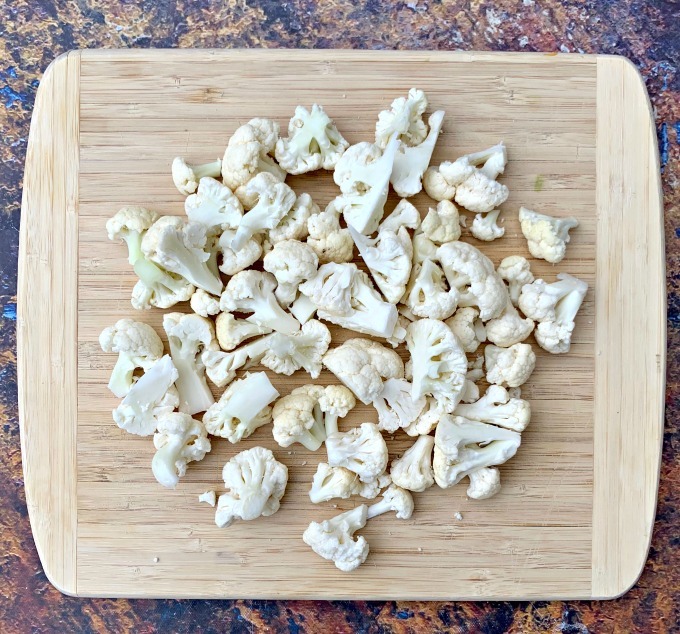 Veggies like cauliflower are essential, to ensure proper nutrient consumption, especially for something like fiber. Potatoes are really starchy, so they have a lot of carbs. One potato has around 37 carbs, which definitely isn’t good for ketosis. You can read more about The Carbs in Potatoes here. My own potato salad recipe has about 13-20 net carbs per serving, depending on how large of a serving is consumed! Sour cream, Ranch Salad Dressing, or plain Greek yogurt can be substituted for mayo. Celery is used in many variations of potato salad. My traditional Southern recipe does not have celery. Feel free to add it if you wish. Bacon makes everything better! Feel free to sprinkle in some bacon. Looking for a vegan version? Try this Vegan Cauliflower Potato Salad. How Long Will Cauliflower Potato Salad Last in the Refrigerator? It will last 3-4 days in the fridge. Can You Freeze Cauliflower Potato Salad? Mayo does not freeze well. I do not recommend freezing this recipe. Pair this keto potato salad with Keto BBQ Pulled Pork, Keto Barbacoa, or Air Fryer Grilled Chicken Kebabs with Homemade Keto BBQ Sauce. 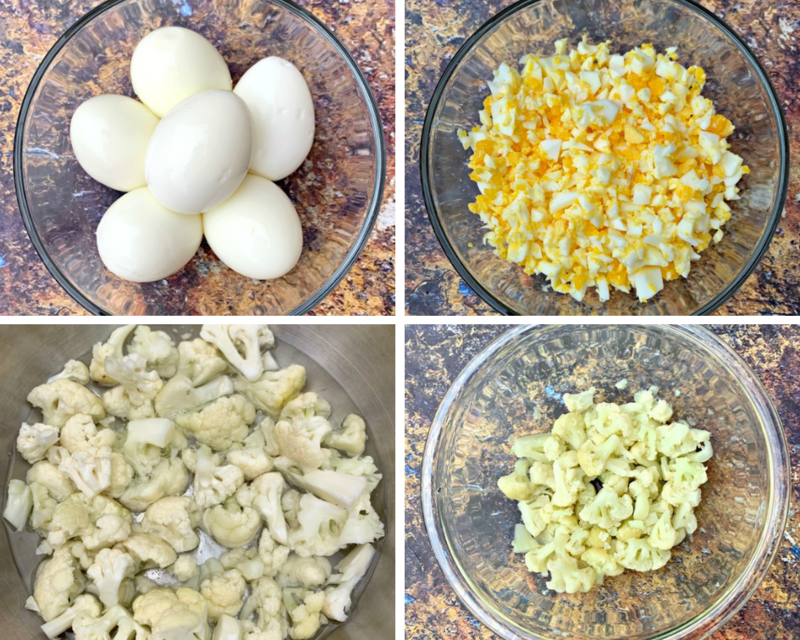 Easy, Cauliflower Potato Salad (Keto, Low-Carb, Paleo) is the best quick and easy recipe to pair with your summer salads and other BBQ cookout side dishes. 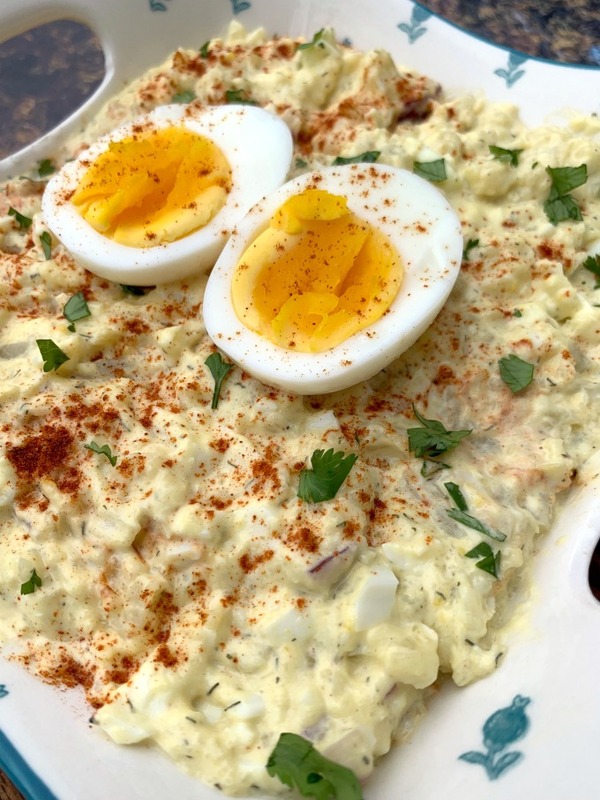 This creamy mock, faux potato salad is best served chilled or cold. Potatoes are substituted for cauliflower due to their amazing texture. Who says you can't enjoy potato salad on keto?! Boil 1 inch of water in a large pot on the stove. Add the cauliflower, cover, and reduce the heat to low. Cook until tender. This will take about 8 minutes. Test the cauliflower by poking it with a fork to determine it is soft. While the cauliflower cooks, chop 4 boiled eggs into smaller bits. Drain the water from the cauliflower. Place the cauliflower in a large mixing bowl or serving dish. Add the mayo, mustard, pickle juice, dill seasoning, chopped onions, chopped egg, salt and pepper to taste to the bowl with the cauliflower. Stir to combine. 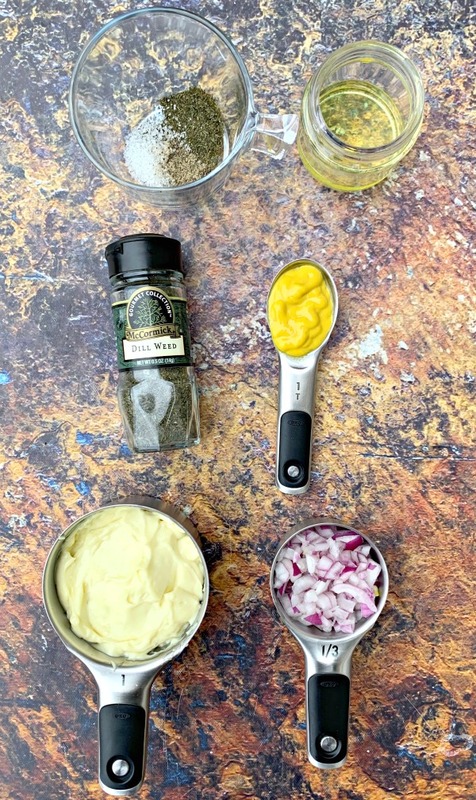 Taste repeatedly to determine if additional salt, mustard, or dill seasoning is needed. Chill for a least one hour. 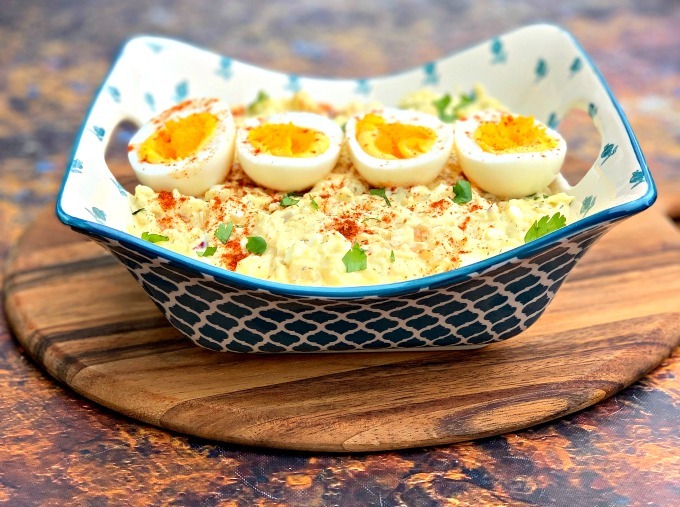 Garnish the potato salad with sliced boiled eggs and sprinkled paprika. I did not mash the cauliflower. I like potato salad to have small chunks. You can mash the cauliflower if you wish. This recipe has been prepared following my traditional southern method of cooking potato salad, so I didn't use any celery. Feel free to add celery if you wish.